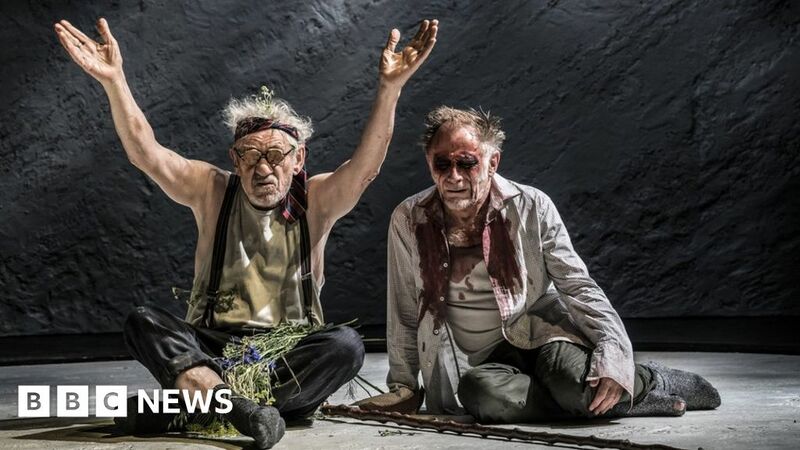 Sir Ian McKellen’s performance as King Lear has been described as “spellbinding” and “magnificent” as the production opens in the West End. The play has transferred from the Chichester Festival Theatre to the Duke of York’s Theatre, where the actor made his West End debut in 1964. The stage veteran told BBC Two’s Front Row last year that this will probably be his last big Shakespearean part. The Telegraph‘s review said Sir Ian was “spellbinding from the start”. The paper’s critic Ben Lawrence awarded the play four stars, as did The Times‘ Sam Marlowe, who described the actor as “magnificent” and “part of a near-faultless ensemble”. The Guardian‘s Arifa Akbar wrote that there “is a sense of an actor putting the finest last touches to his majestic legacy”. Andrzej Lukowski from Time Out said McKellen was “hypnotic as a bullying monarch who uses language like a weapon”. He wrote: “His Lear goes from a vicious, vindictive despot, to a benign, humorous loon, to the gentle weary man of the desperately poignant close – restored to his faculties, just in time to feel terrible pain. The Stage‘s Tim Bano noted that the West End production is being held in a larger venue than the Chichester theatre where Jonathan Munby’s production originally opened in October. 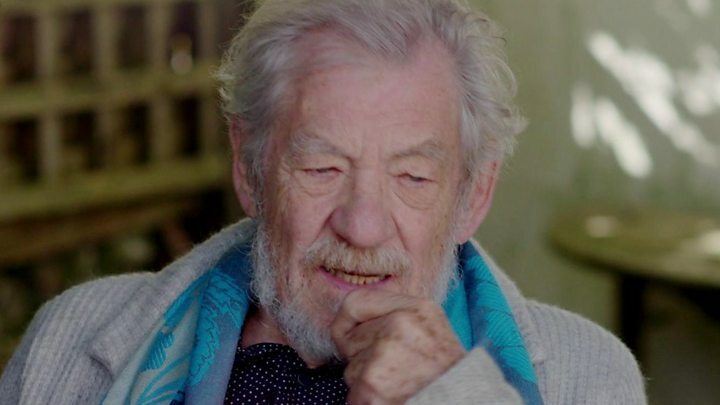 “Intimacy and intensity sold audiences and critics on Ian McKellen’s King Lear in Chichester last year,” he wrote. This is the second time the actor has played Lear, following his role in Trevor Nunn’s 2007 Royal Shakespeare Company production.